In fits of dissatisfaction with my job, I’d interview elsewhere. I found myself lying to the interviewer: “I shove my personal feelings aside because I know I am here to help the team run efficiently.” Smile with a nose crinkle. Nod empathetically. The organic and the mechanical are at war on Remain In Light. The organic: voices, hands, a woman’s hips. They are pushed and pulled by the mechanical: synths, polyrhythmic structures, the dissociative process of day-to-day. The groove is composed of rigid loops, circuitry under the guise of funk. David Byrne yells, “TAKE A LOOK AT THESE HANDS” as if they are beyond his control, as if they are monstrous growths. It is possible to be hypnotized. There is a skip on my mp3 version of “Crosseyed and Painless.” I can’t remember where I got this album, who it was from, if it was a CD or a digital transfer. It makes the song sound crazier. “Crosseyed and Painless” tries its best to keep itself together (“Lost my shape / trying to act casual”). The song orients itself around the four note bass—if you are lost, you count from there. The other instruments chirp in and out, people striding past your desk asking, “Hi, how are you?” and leaving before you can answer. Byrne talks a lot about facts—things they are, things they aren’t. Remain in Light plays with the profound and never arrives at answers. (”Sometimes the world has a load of questions / Seems like the world knows nothing at all.”) Nonsense lyrics embed themselves into your brain, into your bones, you internalize the syllables and they become something else. A mantra, a religion, nothing at all. They are yours now. Then head on the ground, sweating. The edges of the green screen chop his body into pixels as he is shot, or pushed, or something, and bounces in recoil. In sweaty worship again he repeats, “Same as it ever was.” Hands belonging to an unseen body hold his head still. Just as he recovers, he short circuits once more. 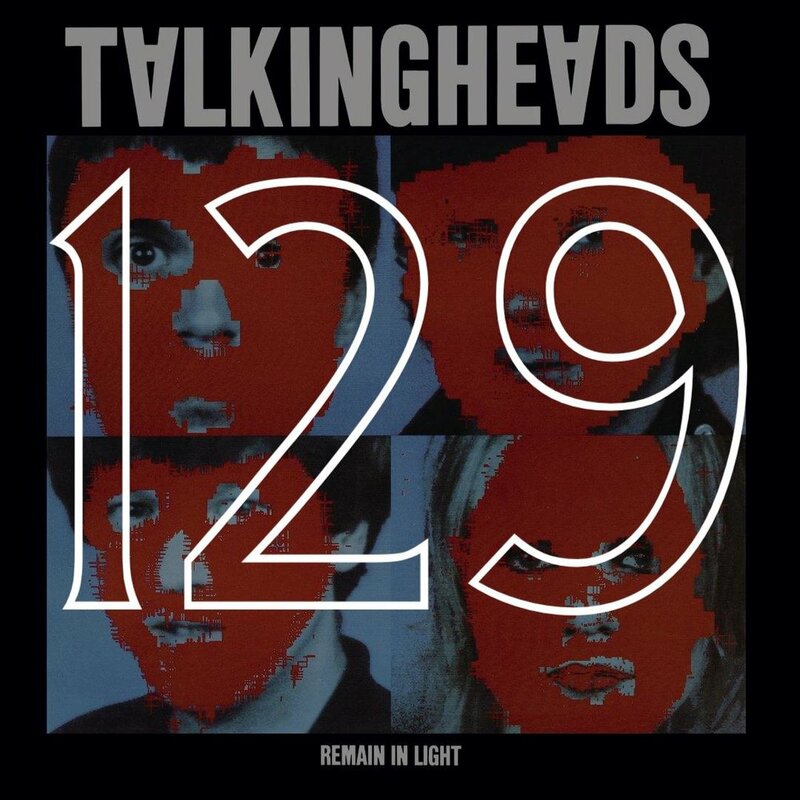 The latter, more conceptual half of Remain In Light is less feverish. “Seen And Not Seen” is spoken-word over floaty, dreamy loops. It is a literal account of a man changing his face to be more suitable, more pleasant. “The change would be very subtle.” Staccato synth fades in and out. Unintelligible background singing. The slow morph from You to Another You, unrecognizable to your loved ones, to your former self. Drop “The Overload” on a Joy Division album and I wouldn’t know the difference. Habits are hard to break. They’re harder when they become routine, such as getting up at 5:30 a.m., or telling yourself that stability is more important than ambition, that well, this is just how the world is. I examined the paths of other artists, musicians, writers. Did they have significant financial advantages over me? Was the economy different? How long did they stay at their day jobs? Last year David Byrne introduced Jonathan Demme’s Stop Making Sense at a rep theatre on the Lower East Side. He wore a powder blue suit. He said some kind words in the hesitant David Byrne tenor we all love, and soon enough, a much younger David Byrne appeared onscreen, telling us there is a tape he would like to play. Stop Making Sense is a play of additions and subtractions. Performers join the stage in groups, or one at a time, adding a new dimension to the arrangement. The original members of Talking Heads do their best to stand out: the Tom Tom Club performs a song, Chris Frantz ad libs “who’s got a match!” before “Burning Down The House.” But soon they are merely background to dancers, to Bernie Worrell, to a lamp. “Crosseyed and Painless” begins as a repetitive groove and in an instant becomes a jerky, frantic version of the song. Gone are the slinky polyrhythms—this arrangement hearkens back to Talking Heads as a punk/new wave outfit. The song is recontextualized from paranoia to panic. This is the last song of the night, and the first time the camera shows people in the audience. Folks bopping in time, a child with a unicorn toy, guys with big monitor headphones. Everyone is sweating like crazy. David Byrne’s suit is undone. The audience in the rep theatre cheered. Like we were at a live show. Like they could hear us. Unmitigated joy.